We'll end the series with a church-wide dinner on Sunday, January 28. Everyone is invited! You won't want to miss it! It’s hard to believe…2017 is in the books! It was a great year and it’s incredible to even fathom all that God has done in the Calvary family! Lives are being renewed, restored, and even rescued! It was a stellar year of growth in many ways. Now with the start of another New Year it is exciting to look forward to all of the new opportunities that 2018 will bring! 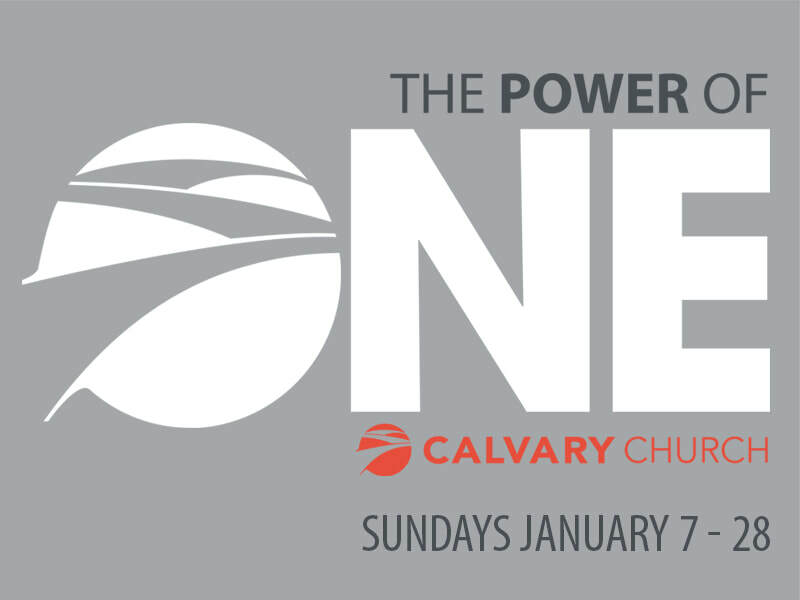 We begin this year with a new series that we are calling “The Power of ONE.” Each message in this four week series will equip you for what possibly could be your greatest year ever! There is no greater reward than seeing someone you care for come to Jesus Christ for the first time! Not only will you be thrilled, but Luke 15:10 reminds us that …there is joy in the presence of God’s angels when even ONE sinner repents. I believe 2018 is destined to be a year of celebration.